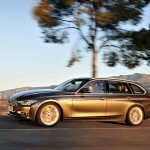 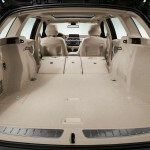 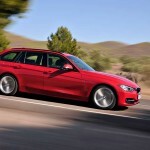 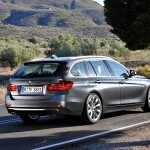 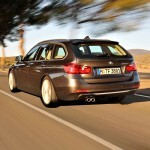 Following on from the saloon version, BMW has revealed images and details of its brand new 3 Series Touring. 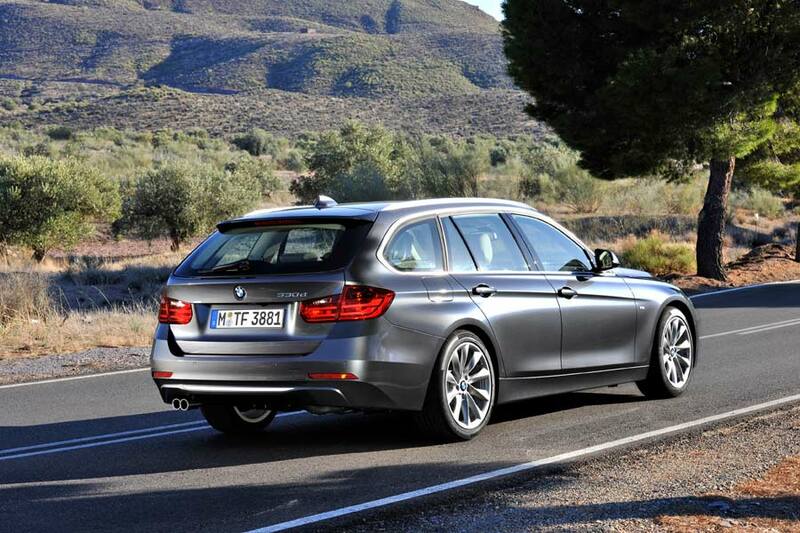 Exactly the same length as its booted counterpart, the Touring is 97 mm longer than its predecessor, has a 48 mm wider track and, at 495 litres, enjoys an extra 35 litres of capacity compared to the outgoing model’s luggage area, with the 40:20:40 split rear seats adding further practicality, especially the through-loading hole, which is handy for accommodating your skis or snow boards. 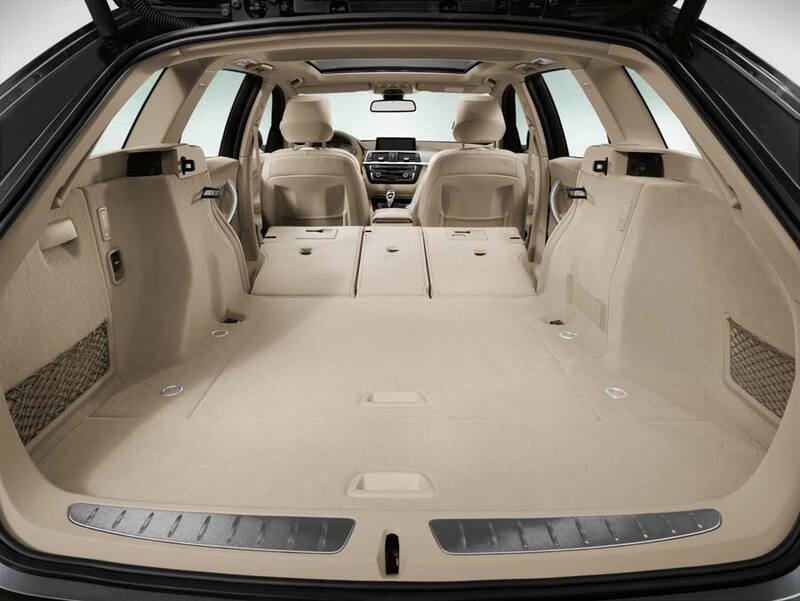 An overall space of 1,500 litres is available with the seat folded flat, while the power tailgate (part of the Comfort Access package) can be operated by waving your foot underneath the bumper. 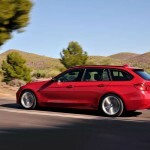 One petrol and two diesel powerplants with be available at launch; the 328i, which uses a 2.0-litre turbocharged unit developing 183 kW (245 hp) and 350 Nm of torque, allowing a six second 0-100 km/h time. 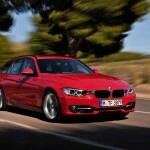 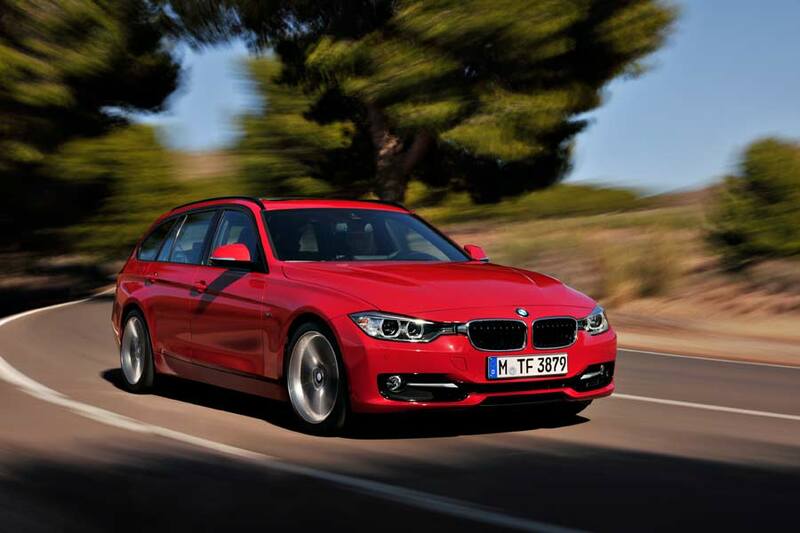 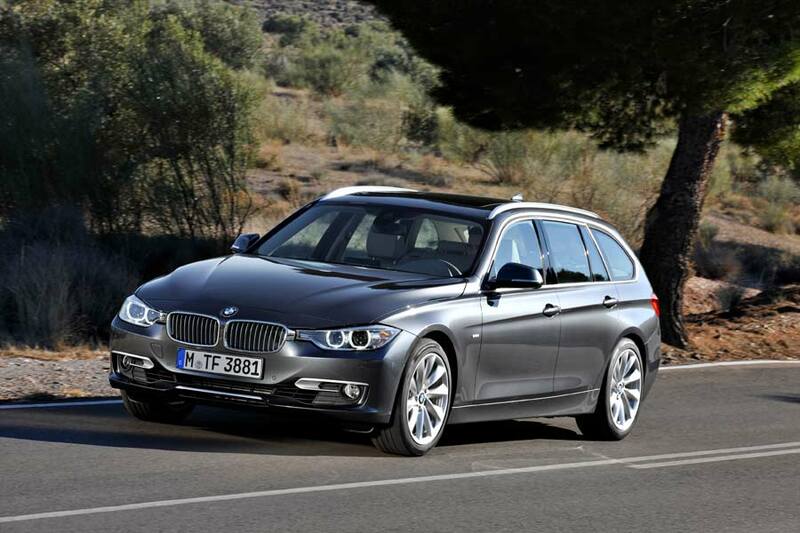 Next comes the BMW 320d which uses a revised version of the previous car’s 2.0-litre turbo diesel. 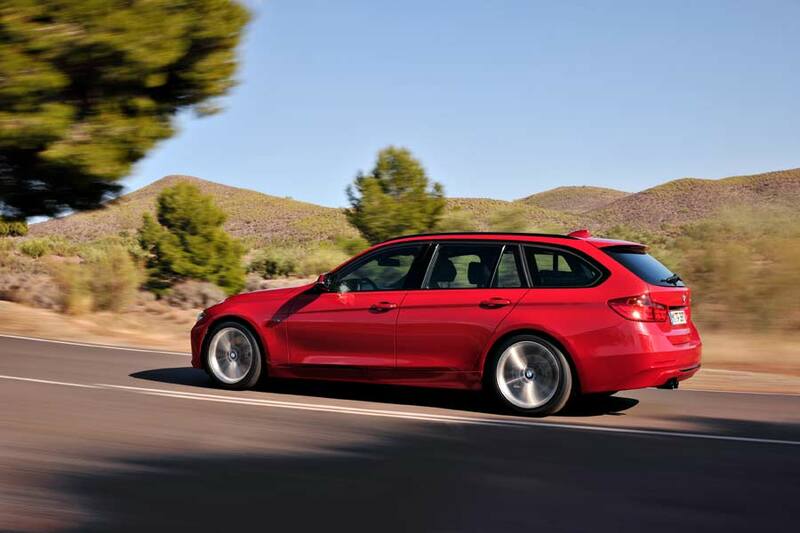 Producing 137 kW (184 hp) and 380 Nm, 100 km/h appears in 7.7 s, a combined fuel figure of 4.6 litres per 100 kilometres (61.4 mpg) is achievable when mated to the eight-speed automatic gearbox rather than the standard six-speed manual gearbox it shares with the 328i. 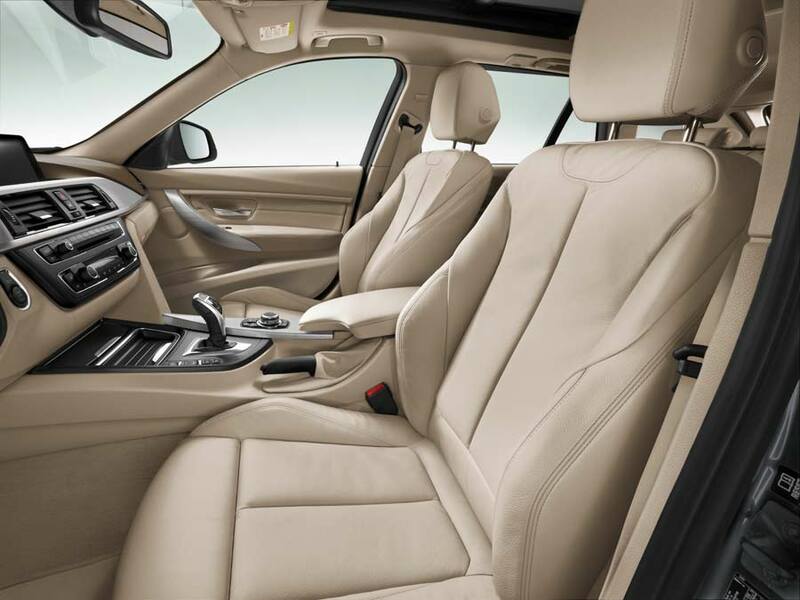 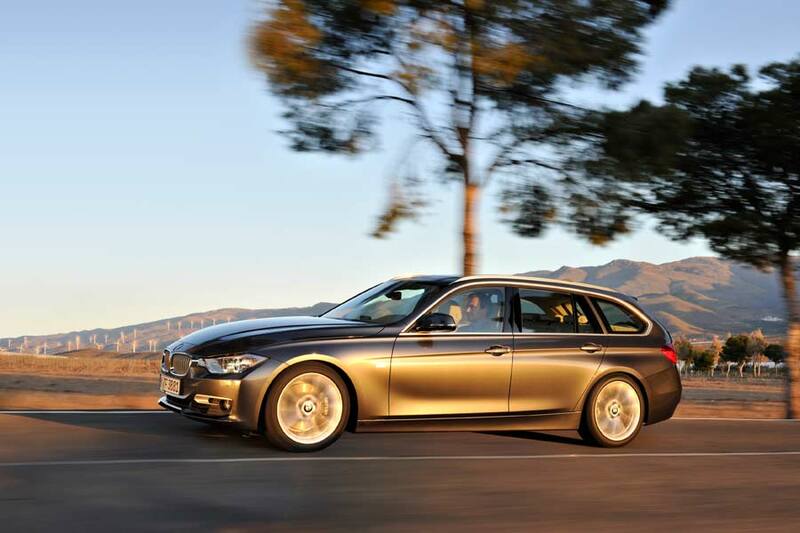 The 330d uses a straight-six 3.0-litre that makes 192 kW (258 hp) and an impressive 560 Nm. 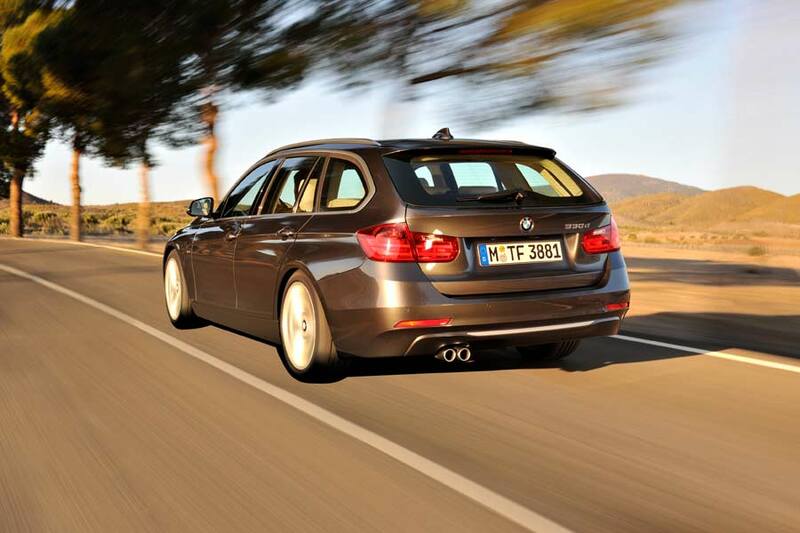 The sprint to 100 km/h takes just 5.6 s, yet consumption works out at just 5.1 litres per 100 kilometre (55.4 mpg). 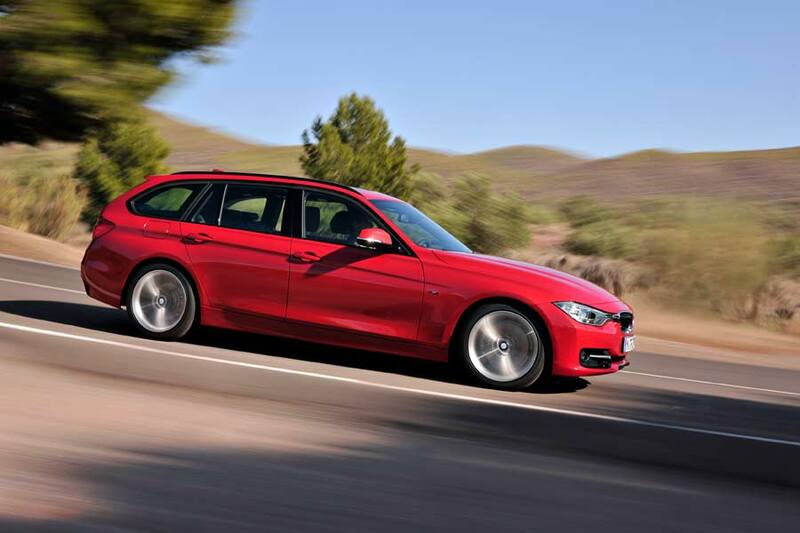 A 137 kW (184 hp) 320i, 87 kW (116 hp) 316d and 107 kW (143 hp) 318d will follow later on in the year after the Touring’s September launch. 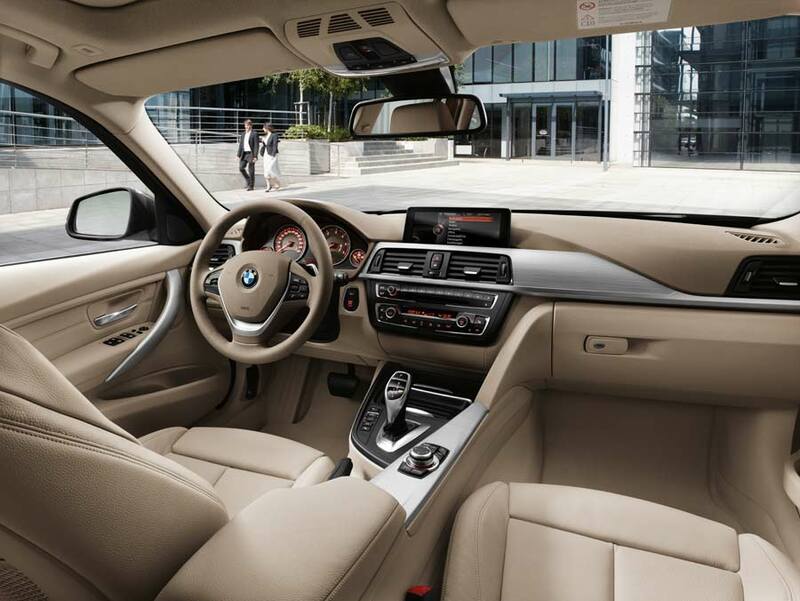 Customers can expect Sport, Modern and Luxury, and M Sport equipment lines, along with the usual 3 Series toys, such as full colour HUD, Lane Change and Lane Departure Warning, Surround view camera, Parking assistant, and the Active Protection Package which utilizes the front radar to pre-empt a collision; readying the braking system, tightening seatbelts and the closing windows and sunroof if a crash is unavoidable.